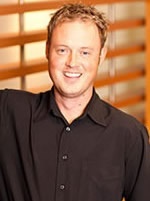 Brian Taylor serves as Chairman of the Board for Detechtion Technologies™, and is based in Calgary, Alberta. Brian earned his BSc. in Mechanical Engineering from the University of Calgary in 1999. Within the natural gas industry, Brian has quickly built a reputation as a leading expert on the operation and performance of reciprocating and screw compressors. Brian joined Detechtion Technologies™ upon inception and has played a pivotal role in the development and execution of the company’s overall business strategy. As President and CEO of Detechtion Technologies™, Chris Smith brings passion and experience to building teams, refining business plans and assuring their execution. He is a technology entrepreneur who has founded, launched and grown companies in partnership with private equity, venture capital and private investors. 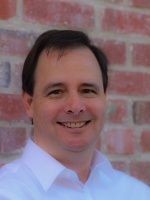 Chris bring over 20 years of executive experience in software, services and international manufacturing to Detechtion™. He has been active on numerous boards, including non-profits. He earned an Economics degree from Wake Forest University. As the CTO of Detechtion Technologies™, Virgil Haney leads the company’s strategic technology direction and R&D. Prior to joining Detechtion™, he co-founded Enbase Energy Technology in 2009. An entrepreneur at heart, he also previously founded/co-founded several other startups. Virgil brings over 25 years of executive experience in technology leadership to Detechtion™. He earned a BS in Electrical Engineering and BA in Computer Science from Rice University. 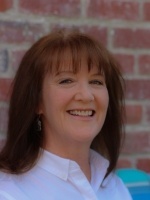 Tammy Tapp-Gentry is the CFO of Detechtion Technologies™. She is a highly accomplished financial executive who brings a vast array of financial experience to Detechtion. She graduated with a Master’s Degree in Agribusiness from Texas A&M University and a BBA in Accounting from the University of Texas at San Antonio. Previously, Tammy was CFO for Rand Group, a professional services firm that delivers overall business process improvement and business management software solutions. Before Rand Group, Tammy was the Finance Director for Pinnacle Foods Group LLC, a leading manufacturer, marketer and distributor of high-quality branded food products. Colin Hendricks is the Senior Vice President leading our software development teams across all product lines. Colin enjoys and has established a proven track record of bringing talented people together to solve technical problems and build great software. Before Detechtion™, Colin lead the software teams at Enbase (which Detechtion™ acquired), Triple Point Technology, and ROME Risk Management Software. He holds a BS in Mechanical Engineering from Rice University and an MS in Journalism from Columbia University. 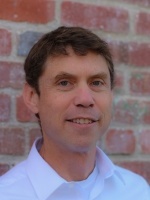 Eric Neason is the Senior Vice President of Products & Services. Prior to the acquisition of Enbase by Detechtion™, Eric served as the EVP of Operations at Enbase where he led day-to-day operations of the company including leading implementation and field services for successful delivery of Enbase products. 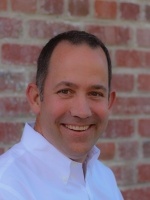 Eric previously held a number of executive and product management positions at Pinnacle Asset Integrity Services, SolArc, and ROME Risk Management Software. Eric brings over 20 years of software development and implementation experience to the Detechtion™ leadership team including over eight years running product management for oil & gas software. He holds a BS in Computer Engineering from Texas A&M University. 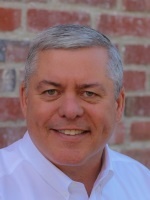 Mike Hill is the Senior Vice Presidient of Sales. Prior to joining Detechtion™, Mike held a number of executive positions at KBR, CygNet Software, and Invensys Process Systems (IPS). At KBR he was the Worldwide VP of Sales for the Technology Business Unit leading them to consecutive years of performance above plan. 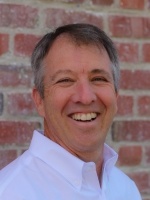 Mike brings over 20 Years of engineering and sales experience to the Detechtion™ leadership team. He holds a BS in Chemical Engineering from The University of Texas at Austin.